Is anyone even remotely surprised by this? The writing was written in bold Sharpie and basically tattooed on the wall. Still, to hear the news become official after everything ​LeBron James has been through with the Cavs evokes the shocking feeling of finality. At least for people in Cleveland, anyway. James officially declining his player option also means that the ball will be moving quickly on his next decision now that he's an unrestricted free agent, and it shouldn't be long before he finds a new home. Recent reports suggest heavily that the Lakers are currently the No. 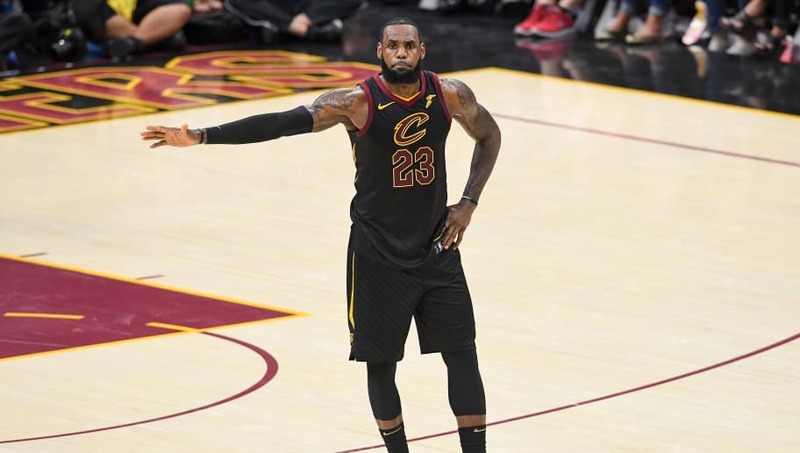 1 spot to land the King, but so many factors including other player's decisions like Paul George, Chris Paul, and Kawhi Leonard will factor into where LBJ finally ends up. Ultimately, it's a tough day for Cavs fans and the team must feel decades away from its glorious 2015-16 title days when LeBron fulfilled his promise to bring the city its first championship. Security cameras being set up in front of LeBron’s Los Angeles home today so that the home can also be monitored by police in his current hometown of Bath, Ohio. Perhaps announcement not far off. Now, a new chapter has officially begun, and the potential for a brand-new superteam aside from the Golden State Warriors is likely in the works.